Former President Coolidge, January 1932. Courtesy of Getty Images. Featured next in our “Best of Coolidge” Readings — the first of the Presidential speeches — is the First Annual Message, delivered on December 6, 1923. 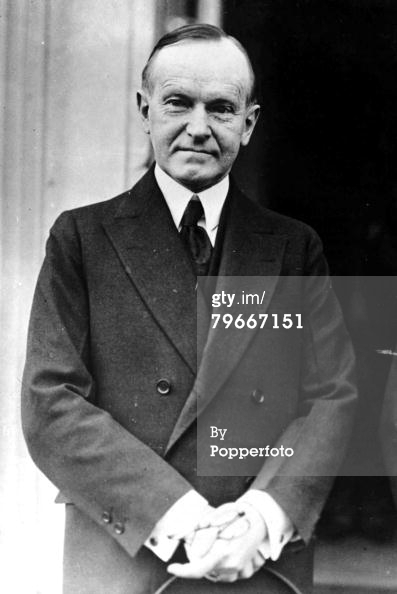 Even to students of Coolidge, this detailed and forward-thinking set of governing principles and policy proposals directly challenges the assertion of “scholars” that “Silent Cal” said little, possessed no agenda, and accomplished even less in his five and a half years as the Nation’s Chief Executive. Looking back on that speech six years later, he would observe with satisfaction that most of what he had proposed had become law, despite the impression that he sat back and slept through his tenure. Stay tuned for the last twelve Presidential speeches, letters, and messages featured in this series.